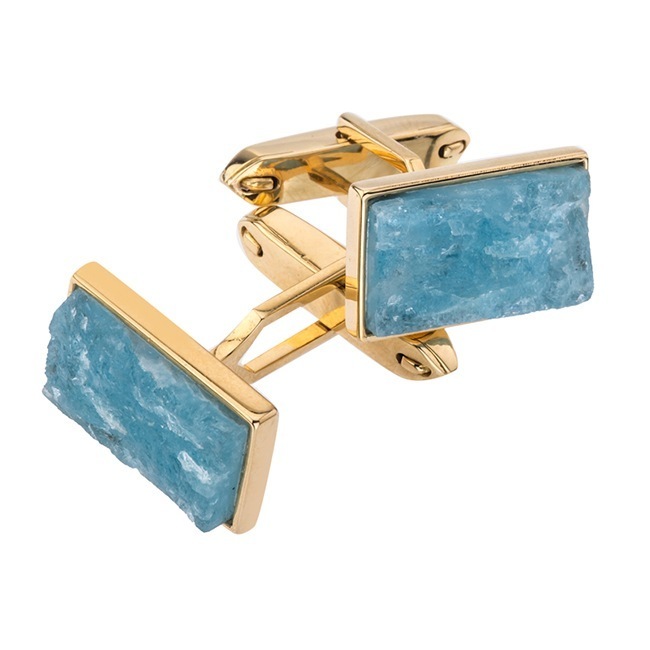 18kt yellow gold cuff links featuring rough Aquamarine which is bezel set in a handmade frame. The cuff links feature bullet shape swivel backs and are high polished yellow gold. This is a Jorge Adeler custom design.